As a commercial printer, your clients rely on you to produce high quality printed materials, supported by convenient processes and exceptional customer service. So why do they choose to buy cheap online printing services for some of their smaller projects? If you could capture the revenue from these short run digital jobs — business cards, letterhead, envelopes and rack cards — how much would that add to your bottom line? Would your customers appreciate being able to use one company for all their printing needs? We think so. Our fully customizable and easily integrated web to print software brings competitively priced printing to your website — keeping your current customers from going elsewhere with their printing budgets! By integrating web to print technology into your website, you can reduce overhead and increase process efficiency enough to offer competitive online printing prices for select products. Web to print integration includes automated processes that eliminate time consuming man hours — replacing many design, editing and prepress operations. Designing promotional material for clients becomes easier than ever with web to print. Your clients are able to upload their own creative content, giving them control over the design and creation of their marketing content. When clients need a reprint of an item, they simply log in securely to the system, locate their previously ordered product and reorder — with or without changes. The entire process occurs without your involvement until the proofing and printing phase, which can be automated as well! No requoting, no estimating, no prepress management needed. The result — less cost, quicker turnaround and happier clients who find it easier and more convenient to use your company for more projects. You can create your client’s business cards quickly and efficiently, cutting costs along the way. The easy online processes that they control — along with competitive pricing and customer service, makes web to print a desirable option for many small business owners. This technology also streamlines stock and order management, easily integrates with most accounting and prepress systems, generates shipping labels and job tickets and stores all customer data securely. 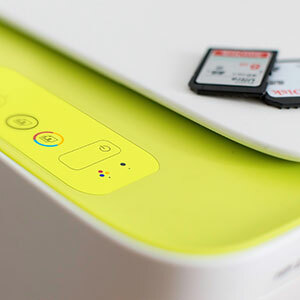 If you are ready to compete with cheap online printing services and offer your existing clients more control and convenience, then our easy to use and affordable web to print technology makes perfect sense. For more information about web to print from the experts at Spider Marketing Group, please contact us here or call us directly at 616.406.9695. Why Use Web 2 Print? Our expert team specializes in creating customized marketing solutions using today's digital platforms. Learn more about us here. Copyright © 2019 Spider Marketing Group | All Rights Reserved.